When I look back at my time in college I don't have the memories of wild nights out partying. I was very much a grandma complete with floor length silk nightgown and eye mask (don't judge). I honestly didn't leave my dorm room for the first 2 weeks because it was the first time in my life that I had cable. We grew up without it (an unnecessary expense) and there were always all these shows my friends would watch that I had never seen but really wanted to. That was when Laguna Beach first came on and I along with every other girl wanted to be Lauren Conrad. It was around this time that Teen Vogue actually launched and they did a feature on her and what products she used. She happened to mention this Neutrogena bronzer and I was out the door navigating the backways to get to Target and avoid traffic. This baby was mine. I then had to learn how to use it as my makeup those days consisted of an overly matte powered face with little to no blush. I was fab! It has been longer than I care to admit (10 years die!) since those days and I keep returning back to this bad boy. I have gone through countless pots even though you get a pretty nice generous portion in there. It has about 3 shades mixed into the pan so when you swirl your brush in there (I use the e.l.f. 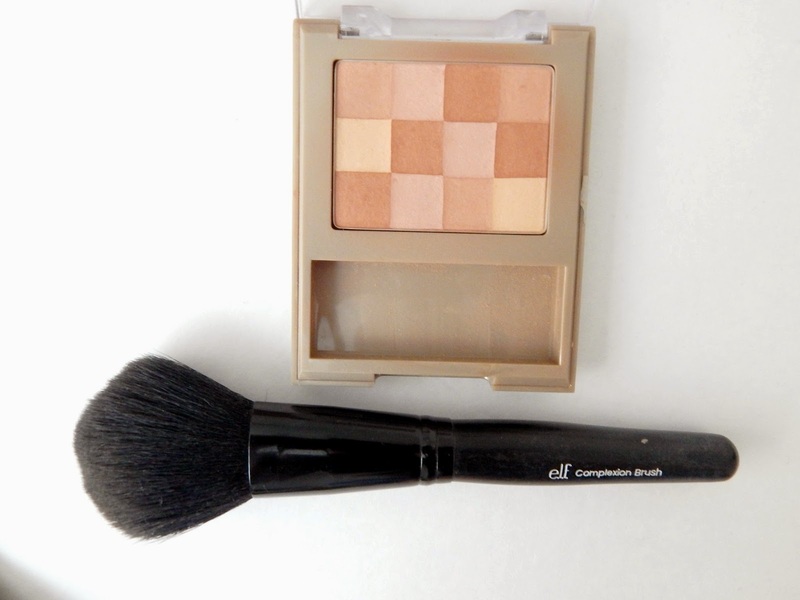 complexion brush) you pick up a nice slightly grayer than bronzy color. I use it to contour and to apply a slight bronze on my giant forehead (you can land a Boeing 747 on it). It is really effortless and find that it matches my pale skin well. I do need to use something different when I am deeply bronzed so darker toned skin may not take to this product. But I am so pale these days that we are getting along just fine. Bring on summer!